Kids work in teams, shake a bag of word family endings, and race against the timer to create a list of words within a word family! 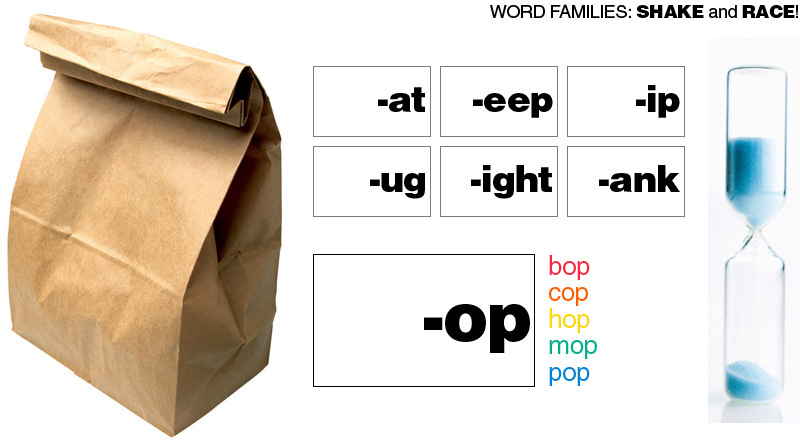 Write various word family endings on notecards and toss them in a paper lunch bag. Teams take turns shaking the bag and pulling a card out. Each team works together against the clock and the rest of the teams, trying to come up with as many words as they can for a single word family, before the time runs out. Which team will come up with the most words? !